Crafty in Crosby: Halloween Party Invitations - Please help us choose! Halloween Party Invitations - Please help us choose! So, Leigh and I talked about making our invitations by hand and we had it all planned out. I was finally going to use the Cricut cartridge that my Mom got for my birthday last year! 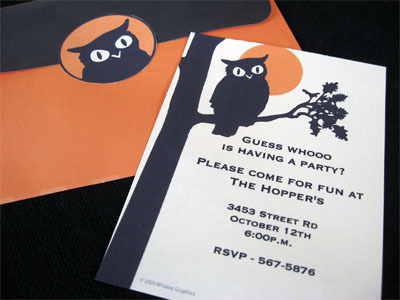 It has all kinds of adorable owls on it and we really were going to make them by hand. Really - we were! But life has a way of intervening and we are back at the hospital with Leigh's Dad - trip number 4 (or is it 5?) in the last few months. He will be fine, just needs more antibiotics and some fine tuning! PicMonkey to the RESCUE! And Pinterest too of course! Here are the 3 versions I came up with and we need your help to decide which one to use. Inspired by Whimsically Detailed She has so many adorable creations for sale in her shop. So what do you think? I love Owls, so I'm partial to the first one, but think any of them would work. I plan to print out the one we choose and mount them on cardstock. I might even attempt to make envelopes with my new Martha Stewart Folding Board - but might be too much work for the Queen of Lazy! I'm writing this post at midnight at the hospital, so I haven't even been able to print them out yet. That may help me decide on my favorite. Leigh hasn't seen them either and I know she will either love one of them or hate them all!!! She's very opinionated and I don't know where she got that from - must be from her Dad's side of the family! Please let us know what your favorite is. I'm off to catch a couple hours of sleep on this "really" comfy couch until Nurse Ratchet comes in at 3:00 and 5:00 to wake us up! 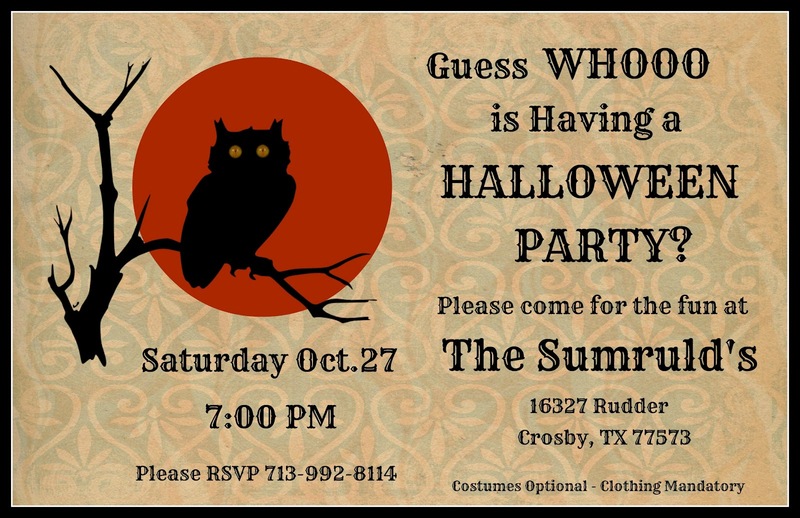 I vote for the OWL invitation. My vote is for the last one minus the typo and maybe a little less verbiage.Or maybe make it horizontal like the owl one so the words are spread out a little more. I love vintage things so my favorite is the first one with the owl. 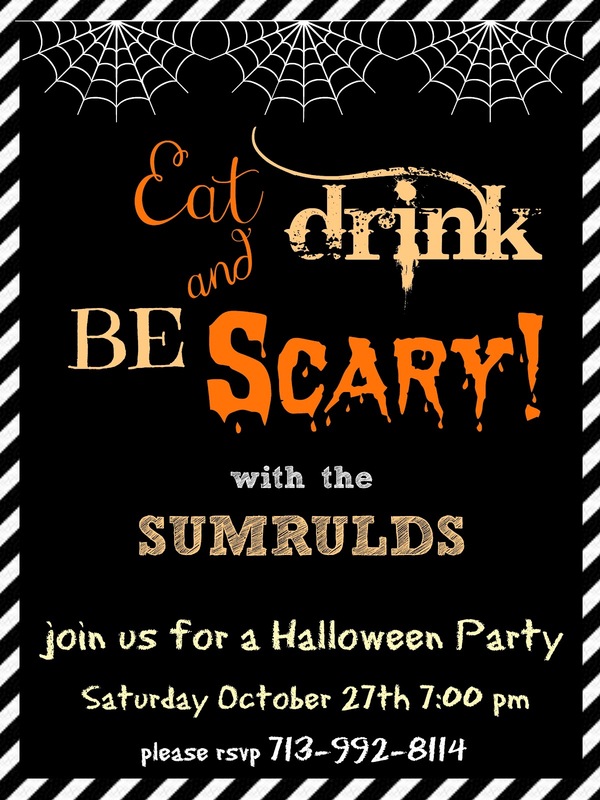 Hope everyone is well for the party! Me too Donna! Thanks for stopping by. I'm really hoping that the Hubby stays well too. Take Care! I like them all, but I like the witchy one the best. So cute! Thanks for joining the fun at Keep Calm and Link Up! Make sure to come back next Friday to see if you were featured! 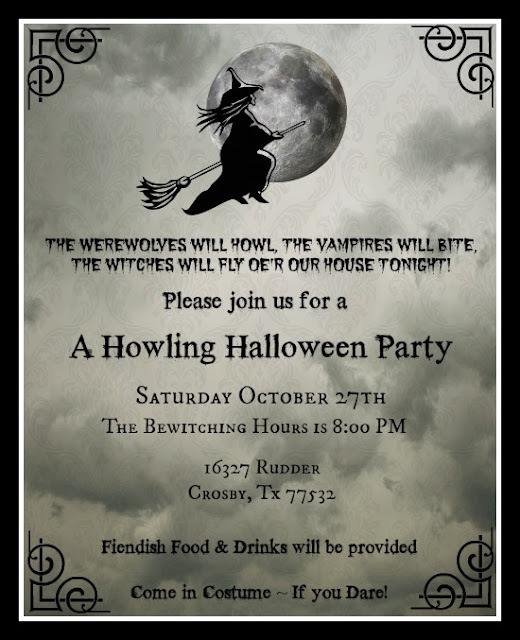 Hope y'all have a howlin good time. 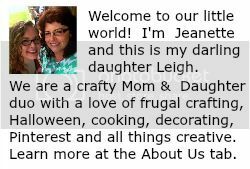 One day you'll need to hang around my side of town and we can meet up for dinner or the quilt shop there on 290 and put a human face to our blog. I would love to meet up with you! Are you talking about the shop at Skinner and 290? I've been wanting to go in there forever.